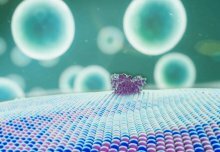 This system could lead to applications such as cellular ‘batteries’ powered by photosynthesis, synthesis of drugs inside the body, and biological sensors that can withstand harsh conditions. Previous artificial cell design has involved taking parts of biological cell ‘machinery’ – such as enzymes that support chemical reactions – and putting them into artificial casings. The new study, published today in Scientific Reports, goes one step further and encapsulates entire cells in artificial casings. Lead researcher Professor Oscar Ces, from the Department of Chemistry at Imperial, said: “Biological cells can perform extremely complex functions, but can be difficult to control when trying to harness one aspect. Artificial cells can be programmed more easily but we cannot yet build in much complexity. They tested these artificial cells in a solution high in copper, which is usually highly toxic to biological cells. The team were still able to detect fluorescent chemicals in the majority of the artificial cells, meaning the biological cells were still alive and functioning inside. This ability would be useful in the human body, where the artificial cell casing would protect the foreign biological cells from attack by the body’s immune system. While a system like that may be a way off yet, the team say this is a promising leap in the right direction. The work is the first example of fusing living and non-living components to emerge from Imperial and King’s College’s new FABRICELL centre for artificial cell science. 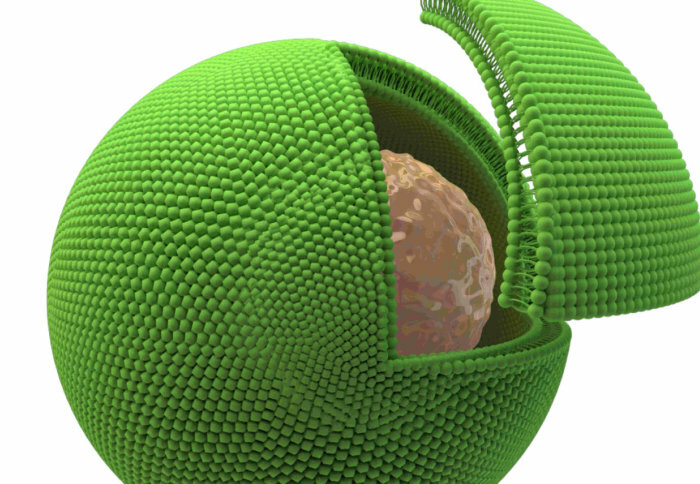 'Constructing vesicle-based artificial cells with embedded living cells as organelle-like modules' by Yuval Elani, Tatiana Trantidou, Douglas Wylie, Linda Dekker, Karen Polizzi, Robert V. Law & Oscar Ces is published in Scientific Reports.